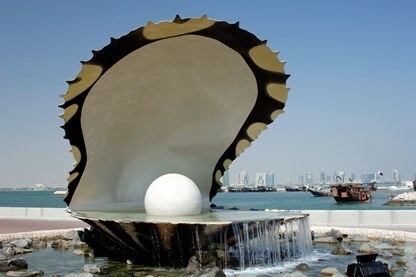 Qatar, the pear-shaped peninsula located in the Persian Gulf, was largely known for its native pearl-fishing industry until the 1980s, when the discovery of oil and large natural gas reserves made millionaires overnight. The quick, oily route to riches might have caught Qataris by surprise. But Qatar’s rulers ensured that the windfall was channeled into developing the country domestically as well as making strategic investments worldwide. Qatar’s global investment presence and the perception of being a relatively liberal Arab state have earned the nation a place on the investors’ radar in recent years. A constitutional emirate with the semblance of a democracy, Qatar had remained a British protectorate until 1971 when it emerged as an independent nation. In many ways, the Al Thani family-controlled emirate may seem like an aberration among its largely conservative Arab neighbors like Saudi Arabia with actions such as its continued backing of the Muslim Brotherhood in Egypt. Qatar’s perceived relaxed policies on freedom of speech and the right to lead one’s life as one pleases, relative to its neighbors, also add to the country’s wider appeal to the Western investor. Qatar, officially known as the State of Qatar, came under the influence of many invading cultures through the course of its evolution as an independent nation, most notably the Ottomans and the British. The name Qatar itself comes from an important trading center located in the region millions of years ago. Believed to be inhabited by humans from 7,500 years ago, archaeological evidence has pointed to Qatar’s links with the Al-Ubaid civilization, which thrived in the region between the Euphrates and Tigris rivers between the 5th to 4th centuries BC. Even from those early days, the region we know as Qatar today is said to have participated in a barter-trade system which prevailed at the time. Later on, Sumerians are believed to have settled down on an island close to Qatar, followed by another group known as Dilmun, which had made Bahrain their base. It has been established that Qatar had good trade ties with both these civilizations. Qatar’s credentials as a big trading center in the Persian Gulf was further attested by the key role it played in facilitating trade between the Indus Valley Civilization and Mesopotamian Civilization through the Persian Gulf during 3rd to 2nd millennium BC. Trade by Greece and Rome with India and Europe also was carried out through the Persian Gulf, with Qatar acting as the conduit. Thus, Qatar established itself as the most important trade link between the West and the East. Symbol of a Not-So-Distant Past: Qatar was largely a poor Gulf state dependent on its pearl-fishing industry until it discovered oil and large reserves of natural gas. The rise of Qatar as a prominent trading post in the Middle East saw the region come under attack beginning with the invasion and annexation of the region by the Al Khalifa family of Bahrain in 1783. Actually, the collective resistance of Qataris to the Bahraini invasion led to the emergence of the family of Al Thani in the middle of the 19th century, which still continues to rule Qatar. 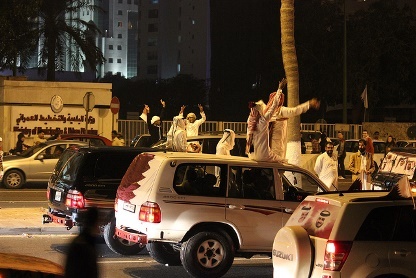 The subsequent military flare-up between Bahraini forces and Qatari rebels prompted the British to intervene and broker a settlement. In fact, this settlement would sow the seeds of Qatar emerging as an independent nation later on in the 20th century. The State of Qatar was founded on December 18, 1878, which is celebrated as Qatar National Day. A little later, Qatar came under rule by the mighty Ottoman Empire, whose reign of influence in those days ranged from Kuwait to Qatar. However, the Qatari forces led by an Al Thani leader defeated the Ottomans in a battle which took place in March 1893. Meanwhile, the British Empire was slowly spreading its tentacles to the East, as far as India and their sights naturally fell on Qatar, which by the beginning of the 20th century had discovered oil and natural gas. Alongside, the decline of the Ottoman Empire was exacerbated by its defeat in World War I on various fronts. With this, Qatar agreed to become a British protectorate in 1916, with the U.K. government agreeing to protect the emirate from any external aggression. In return, the country consented to consult Britain before signing any military pact. However, the sun would soon begin to set over the mighty British Empire as India and Pakistan became independent in 1947. Eventually, Qatar too gained full independence from the U.K. and emerged as an independent sovereign state on September 3, 1971, expressing its refusal, like Bahrain, to join the United Arab Emirates. The rest, as they, is history. Qatar has a culture similar to that of its Arab neighbors, though the relatively liberal outlook lends a special hue to the emirate’s cultural scene. Qataris are immensely proud of their heritage and traditions and the Qatar National Day is celebrated with great fervor every year. Qatari music is believed to be a mosaic, combining elements from the Bedouin genre of song, dance, and poetry. A variety of percussion instruments such as al-ras lend a special flavor to Qatari music. Though Islam is the largest as well as the state religion of Qatar, other religious sects such as Christians, Hindus, and Buddhists are allowed to follow their respective faiths. The majority of the Qatari Muslims belong to the Sunni sect of Islam, outnumbering the Shias, mirroring the well-known segregation in the Muslim world. The Christian population in Qatar mostly is comprised of various foreign groups such as Catholics, and Anglicans, as well as some Christian Orthodox churches from Southern India. Though Christians are allowed to worship, churches cannot display religious symbols such as crosses. Museum of Islamic Art: This centerpiece of attraction in Doha, Qatar, has a rich collection of Islamic art, photography, natural history, as well as modern Arab paintings. In a broader sense, the museum is also a symbol of what Qatar aspires to become in the distant future: a knowledge economy. The media scene in Qatar is almost synonymous with the Al Jazeera television network, which was launched in 1996. The state-owned entity has since emerged as the most sought after news channel both in the Arab world as well as in the West for its unorthodox views. Though all media are forbidden to criticize the head of the government, there are at least three English dailies and Arabic publications, not to mention a host of locally published magazines as well as some online news portals. Qatar loves soccer, underlined by its decision to bid for the 2022 FIFA World Cup, which it won. Besides soccer, Qatar hosted a Motocross Grand Prix event in March 2013, and also has a drag racing facility and a tennis and squash complex. 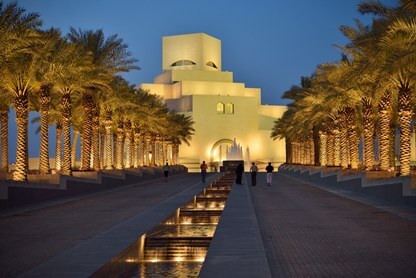 Still, the high point of Qatar’s cultural ambitions is the Museum of Islamic Art (MIA), which opened in 2008. The museum showcases masterpieces in art collected worldwide, with many of the collections with links to Islam, but some of them secular in nature as well. Now rated as one of the best art museums in the world, the MIA is the result of the painstaking purchase of art by Qatar’s royal family over the past 50 years. The carefully cultivated image makeover is part of the emir’s vision to transform Qatar from an oil and gas economy to a knowledge economy. Building new universities and schools, hospitals, and a back-end center to cater to the international film industry, are all part of the emir’s Qatar National Vision 2030 program. Qatar’s relatively nascent prosperity has been made possible by the unearthing of the large oil and natural gas reserves in the 1980s. The economy began to clock consistent double-digit growth, with oil and gas exports accounting for more than 50% of Qatar’s GDP and half of the government’s revenues. Oil and gas wealth sent Qatari incomes skyrocketing and unemployment came close to the lowest levels among the countries of the world. Looking ahead, Qatar has proven oil reserves that can last about 60 years, while its natural gas reserves are the third largest in the world. What’s more, Qatar’s cost of extracting gas is low, which gives it a unique cost advantage when it sells the commodity in the market. Besides this, the emirate has long-term contracts with buyers that run 20-30 years, so that its market share remains relatively stable. However, the handling of huge petroleum revenues proved to be a messy affair in the late 1980s and early 1990s as the then ruler mishandled the oil bonanza, only to be overthrown by his son, Hamad, who eventually laid the foundation for Qatar’s economic growth over the last two decades. During Hamad’s rule, which lasted for 18 years, the country’s GDP increased six-fold to about $200 billion, making its citizens the richest in the world in per capita income. Qatar’s immense wealth was also partially responsible for shielding it from the tumultuous domestic unrest witnessed by some of the neighboring Arab nations during 2010-11. Making a Beeline: Qatar’s energy and construction sectors have attracted laborers in droves, mostly from Southeast Asia and parts of Africa. After its new-found petroleum wealth catapulted Qatar to the forefront of rich Arab nations, the country’s rulers went about the task of effectively utilizing the money, beginning at home. Oil money helps sustain the welfare-state, which offers citizens many services free of cost or heavily subsidized, with Qataris exempt from paying income tax. Qatar’s prominence in the Middle East and the global stage was accentuated both by its oil and gas wealth and its strategic relations with some formidable world powers, including the United States. Qatar’s population of less than 2 million has been one of its biggest advantages when it comes to channeling hydrocarbon revenues. Still, native Qataris number only about 300,000, while migrant workers, mostly from Southeast Asia and parts of Africa, who make up about 94% of the country’s labor force, drive the country’s construction sector and other labor-intensive activities. What seems to have earned Qatar a name in the global corporate circles are strategic investments made by the emirate in some of the world’s best-known companies such as Volkswagen AG, Credit Suisse, and Barclays plc. Currently, Qatar has diverted most of its attention and money – about $200 billion — into preparations for the FIFA World Cup, which it will host in 2022. The country is making use of the tournament as an opportunity to develop the private sector, one of the drivers of the large-scale construction projects, and also showcase to the world the very best in football stadiums, new hospitals, and new roads. The emirate hopes to diversify its economy from its oil and natural gas base, encouraged by the fact that the non-energy sector has been growing at about 10% a year. However, Qatar’s World Cup run has already been tainted by concerns of delays and cost-overruns, which may stoke inflation. 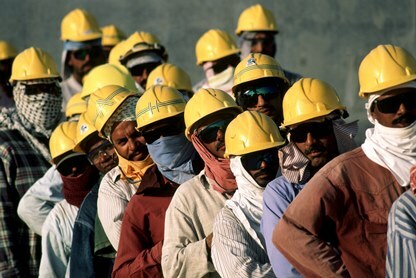 The Qatari government is addressing the issue of low wages and squalid living conditions of thousands of migrant foreign workers by introducing new labor reforms. Besides the construction industry, the financial services sector in Qatar has been doing well, thanks to the government backing exercised during the financial crisis of 2008-09. Qatar National Bank, for instance, made a number of acquisitions in North Africa and the Levant (the region includes Israel, Cyprus, Jordan, Syria, Lebanon, Palestine, and parts of southern Turkey) in recent years, overtaking many other Gulf-based lenders in terms of total assets. The government of Qatar has identified industrial production as one of its focus areas besides the dominant oil and gas sector. 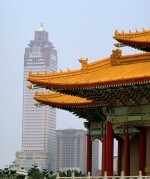 Production has centered around two ports to make it easier to export the goods produced. With the country’s huge energy reserves serving as the primary raw material, fertilizers, steel, and petrochemicals are produced by Industries Qatar, a company second only to Saudi Basic Industries Corporation, the largest chemical producer in the Middle East. 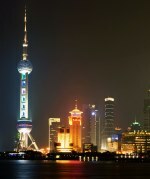 Tourism, specifically business tourism, is also one of the focus areas of the government. The new Hamad International Airport in Doha, which was inaugurated in mid-2014, is a big step toward attracting business travelers to the emirate. Moreover, the big-ticket infrastructure spending undertaken in anticipation of the 2022 FIFA World Cup is expected to transform the small Gulf peninsula’s skyline. A Welfare State: Despite being a constitutional monarchy, the emirate’s system of governance is relatively stable. The rulers enjoy complete confidence of their citizens in return for providing them essential services free of cost. In June 2014, MSCI upgraded Qatar to emerging market status. Likely under consideration were Qatar’s achievements in a short span of time. 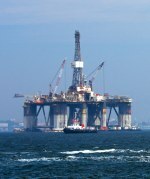 First, Qatar has a good standing in the global energy markets as the largest exporter of liquefied natural gas. Social contract, an arrangement where the government provides essential services to its people virtually free in return for absolute loyalty, remains strong in the region. The emirate’s system of governance, even though a constitutional monarchy, is relatively stable. Moreover, Qatar has consistently ranked higher on Social Cohesion on IMD World Competitiveness Index vis-à-vis other economies as a Financial Times article pointed out. For instance, Middle Eastern economies of the United Arab Emirates and Qatar came in at number one and two positions respectively, above developed economies such as Canada, Norway, and Sweden in 2013 ranking. The ranking, according to IMD, is based on a country’s political stability and its focus on business development and economic growth. Though the cash-rich energy-related sector has firmly remained under state control, the Qatari administration does not overreach itself into other sectors such as construction and industrial production. What’s more, property rights in the region are culturally enshrined, while the government flush with oil revenues has little incentive to interfere. Yet, Qatar’s dream run seems to be facing some unexpected headwinds. The regime in Egypt, which was propped up by Qatar, collapsed and the country’s Gulf neighbors led by powerful Saudi Arabia unleashed a diplomatic offensive against the tiny emirate for having supported the revolutionary cause. Moreover, allegations of bribery have marred Qatar’s winning the bid to host the soccer World Cup. Still, Qatar’s massive energy exports help the state hold its own in the face of any crisis, while the presence of a vast American military base in its territory acts a deterrent against possible misadventures by its Arab brothers. Qatar had dramatically transformed itself into a powerful Middle Eastern economy in a short span of time much like a scene straight out of the Arabian folktales. Notwithstanding the problems faced by the economy, Qatar’s near-term economic growth prospects look healthy. All fairy tales, after all, have a happy ending.